Mountain View Cemetery, North Cowichan, B.C. – Temple Lodge, No.33, Duncan, B.C. Temple Lodge, No.33, Duncan, B.C. Mountain View Cemetery, North Cowichan, B.C. 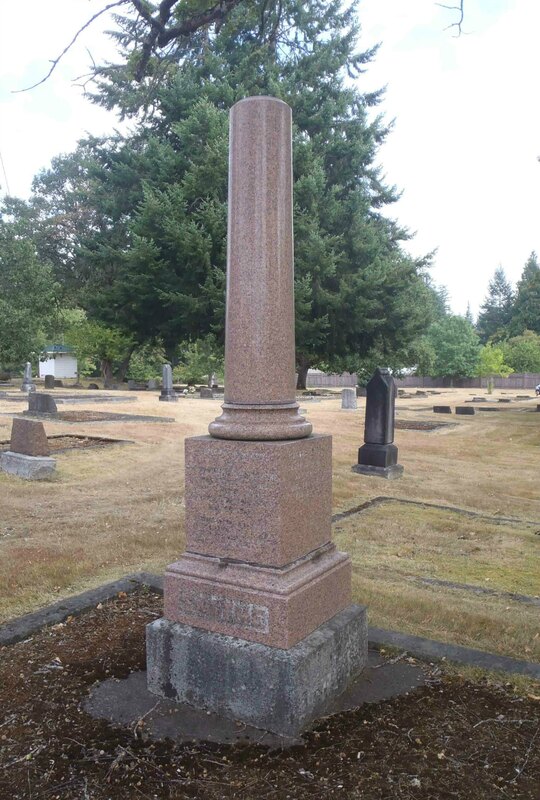 Mountain View Cemetery is located at the intersection of Somenos Road and Drinkwater Road in North Cowichan, B.C. We are gradually updating our website and this page is not yet complete. Please see our previous page for Mountain View Cemetery for links to individual names until we get this new page completed. 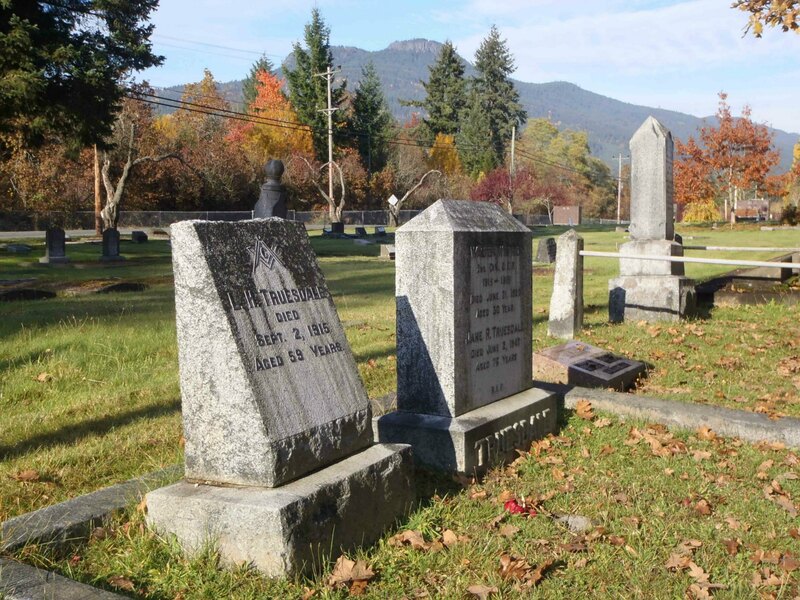 Although this cemetery is often referred to in older records as the Methodist Cemetery and the United Church Cemetery, Somenos, the present Mountain View Cemetery is a municipal facility operated by the Municipality of North Cowichan and is located at the north-east corner of the intersection of Somenos Road and Drinkwater Road, North Cowichan. DICKIE, Herbert William – died 1949. also see Charles Herbert DICKIE and 149 Canada Avenue. LeQUESNE, James Farley – died 1958. Served several terms on Duncan City Council. LEWIS, Charles Walter – died 1959; member of Kamloops Lodge, No.10, Kamloops, B.C. MAINS, Charles B. – died 1952, aged 84. His business building is still standing at 70 Government Street, Duncan. There are some other graves in Mountain View Cemetery which may be of interest to visitors. William Smithe was not a Freemason but his son, Ormond Towers Smythe, was a member of Temple Lodge, No.33 and a Mayor of Duncan. William Smithe’s leading political opponent, the Hon. George Anthony Walkem (Premier of B.C. between February 1874 – January 1876 and again between 1878 – June 1882) was a member of Kamloops Lodge, No.10 in Kamloops, B.C. and King Solomon’s Lodge, No 22 in Toronto, Ontario. The Hon. George Anthony Walkem is buried in Ross Bay Cemetery in Victoria. 1927 Advertisement For Raybestos Brake Linings – Duncan Dealer: Thomas Pitt Ltd. Entered Apprentice Degree – 26 March 2019, 7:30 p.m.
Temple Lodge No. 33 Installation of Officers – 6 April 2019, 1:00 p.m.
Temple Lodge No. 33 Regular Meeting – 9 April 2019, 7:30 p.m. Regular Meeting of Temple Lodge No. 33 – 12 March 2019, 7:30 p.m. Enter your email address to subscribe to Temple Lodge, No.33 and receive notifications of new posts by email.